AS she looks back on 70 years of Religious life, Sister Sheila McGovern positively shines with contentment. "I have never been unhappy and have had a wonderful life," says the St Louis Sister as she reflects on a life of service which brought her from Ireland to Nigeria and England. Sr Sheila entered convent life in 1948. She was one of 17 Sisters of St Louis to start their training in Monaghan that year. The seed that flourished into her vocation was sown and watered in the family home in Belcoo, Co Fermanagh. "My parents were a wonderful example," she recalls. With her two sisters and two brothers, she was brought to Mass in St Patrick's Church, Holywell, and prayer, the sacraments and the Rosary were stitched into the fabric of life. As a boarder at St Louis Grammar School in Kilkeel she remembers being "very impressed by the way the sisters reached out to every child, irrespective of their ability". "It was the ethos of the congregation, 'Sint unum - may they be one', in action." Although determined to pursue her vocation, she nonetheless had a long conversation with her father about the gravity of the commitment she would be making. "We talked for hours, about the pros and cons. At the end of it, he said, 'If it is too hard for you, you can come home'." Sr Sheila's parents had strong insight to what Religious life involved - including very limited contact with family - because her mother's two sisters were nuns. The training was also strict, but Sr Sheila talks fondly about the camaraderie in the convent. "The grace of God was there all the time, too," she says. From the convent in Monaghan, she was sent in 1951 to Balla, Co Mayo to teach music. A year later she was posted to Dundalk for three years, at which point she embarked on a decades-long adventure to Africa. "When I professed in 1951 I had volunteered for the missions," she says. That willingness was answered in 1955, when she was sent to Kano in northern Nigeria. The most dangerous time was during the 'bloody riots' of 1966, but a more positive highlight was when Pope John Paul II visited Nigeria in 1982. Sr Sheila was charged, with Fr Billy Fulton SPS from Larne, with organising the music for a ceremony in Kiduna at which the Pope ordained 96 priests. Her role included playing the organ at the Mass. From Nigeria, she went to England to teach until 1990, when she 'retired' - though only in the sense that a nun ever retires. 'Retirement' brought with it work as varied as being a parish sister, a hospice and hospital chaplain and catechetics. In 2004, it was, she felt it "was the right time to retire home". She now lives with three other St Louis sisters in Stewartstown in Belfast. 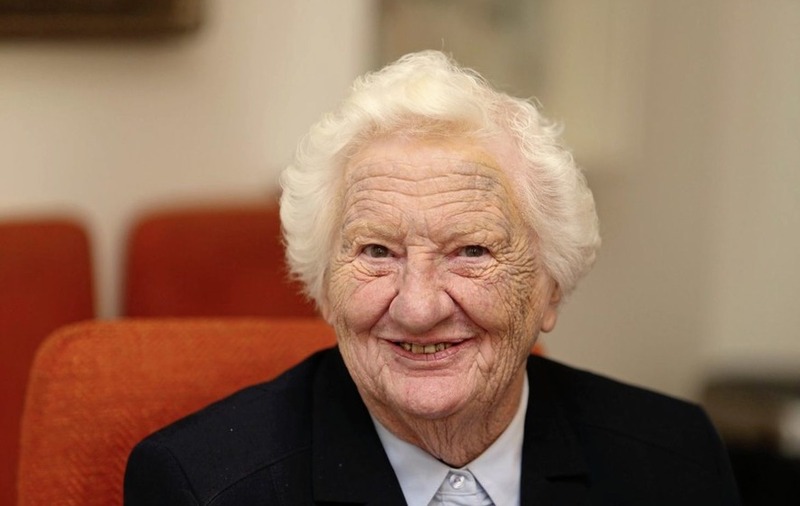 Reflecting on her own story so far, Sr Sheila's advice for a positive, happy life is simple. "Pray hard, work hard, play hard and enjoy life," she smiles.